Spring has arrived. Well, it's trying its best to. After being out this morning shooting imagery for this post, and as I'm writing it, it has rained and stopped, rained, gone sunny, showered, stopped, the blue skies were back and then it rained again. Nothing really surprising for our Auckland weather is it? But what may be a surprise to you, is where you could be going next to get yourself a sharp looking suit. 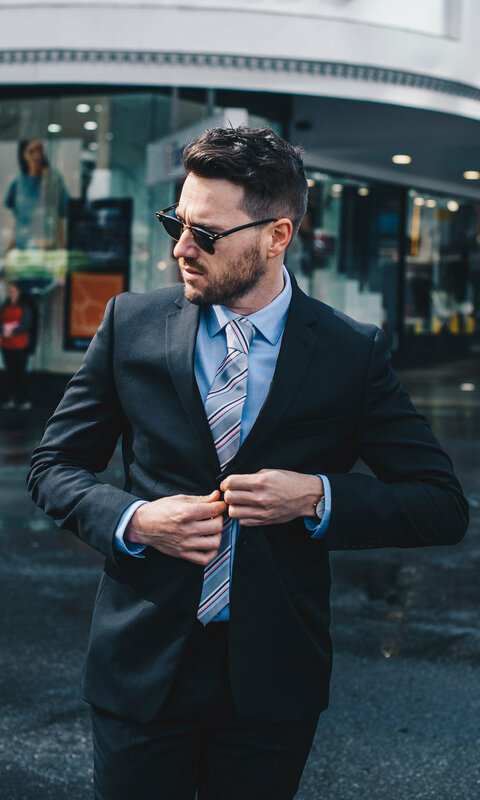 As we're fast approaching the festive season when there's plenty of parties, bashes, corporate functions, work dos, awards shows, and even the beginning of the wedding season, now’s a good time to slip into a fresh suit so you're set for whatever fun things you’ve got on the calendar. As I've written about in my Autumn post with Farmers, which covered my surprise when I discovered Farmers had expanded their Calvin Klein collection, beyond their popular underwear line, by stocking a selection of CK casual wear, like denim jeans and tees. Now Farmers are continuing their pursuit in delivering more goods from this premium fashion house and without the extremely premium price tag. You only need to get a quick glimpse of my Instagram feed and you'll know that Calvin Klein is one of my tried and true labels that I wear on the weekly. So when Farmers got in touch to let me know they've got a curated selection of new Calvin Klein suits for me to check out, I basically ran down to their two-story Queen Street store from my office, and got all sweaty doing so. The limited, but impactful Calvin Klein range did not disappoint. With three key tones; black, navy blue and grey you really can't go wrong with any. 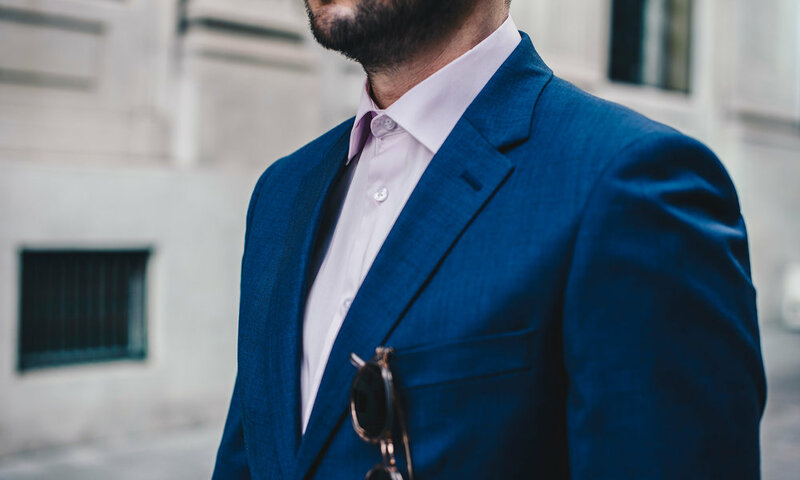 I was immediately gravitated by the the navy blue colour and when I spotted this pastel pink CK shirt, I had a feeling that both would work smashingly. I encourage you to not be nervous about trying on some colour when you’re wearing a suit, particularly giving the pastels a go which are on-trend this season. Of course depending on the occasion, like a wedding, for example, it's well worth throwing on some other elements like a tie to jazz it up. 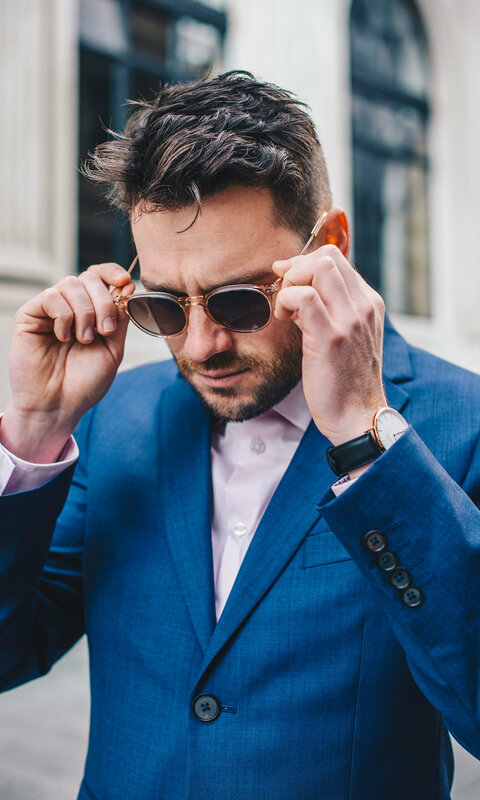 It’s especially needed if you're wearing a classic black suit where some colour is welcomed by the way of a funky shirt, a patterned tie or even a pocket square. Wouldn't advise all three at once, but hey who I am to make any rules? Do what you want, have some fun and see how it comes together. Farmers stock a variety of suiting brands that'll work to any budget which I really like and appreciate. 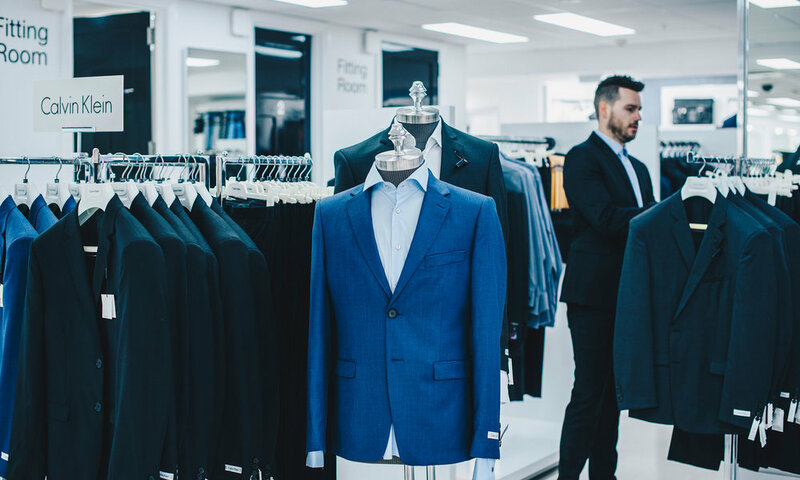 So if you're juggling a few things financially, then affordable and stylish brands Tarnish Formal and Mazzoni have suit pants starting from $79.99, and jackets from $169.99, which will have you looking sharp, with change to spare. One of the biggest benefits of getting a suit from Farmers is you can walk away with a great fitting suit and shirt, all straight off the rack. No tailoring or alterations required. Handy if you've potentially left getting a suit sorted to the last minute - which let's face it is often the case for us guys. And while you're there, you can get everything else you may have been neglecting to buy of late, like fresh new underwear, socks, and even some pjs. After swanning around the central city ducking in and out of the rain trying not to get wet as we snapped these key looks, I ended the session by picking myself up a classic slim fitting Calvin Klein black suit paired with the striking pink pastel shirt seen above. Plus while in-store I signed up to the Farmers Club, all on my own. I had always just used my mum's details in the past, but I'm a man now so time I got one. There are some great rewards that you can earn, from free shipping with online purchases to exclusive discounts and vouchers for members only. It's free to sign up of course, so worth doing it. At the end of the day, a suit is a solid investment. Yes you may not wear it weekly, but trust me it's worth taking the time to get the right one. Think about what a good quality, fitting and smooth looking suit tells the world - 'I'm bossing it', would be the answer I'm thinking? Go boss it out there in the world and hit me up if you need any advice on how to pick the right suit for your needs and budget. Farmers is a solid place to start, and you'll easily come out with the full package, just don't forget some fun socks too. I got these gorilla socks to go with my CK digs. This post was made in collaboration with my friends at Farmers. All words, opinions and expressions are my own. Massive thank you to my all round insanely creative friend & photographer Sophie Miya-Smith for taking time out of her hectic schedule to shoot with me in the rain.